One of the best loved painters of the recent Scottish exodus into the London Art Market, Christine is a graduate of the famous Gray’s School of Art in Aberdeen and a member of the Royal Glasgow Institute and the Royal Scottish Society of Painters in Watercolour. Her numerous awards have brought her a large following across the country and her extensive travels to Morocco, Tunisia and Italy remain her principal inspiration. 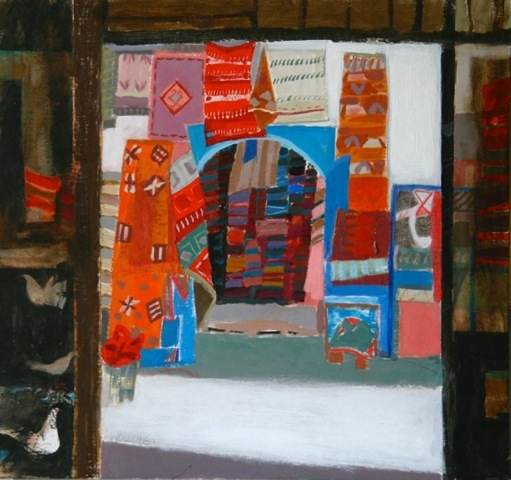 Carpet Shop, Essaoura, 18 x 19. 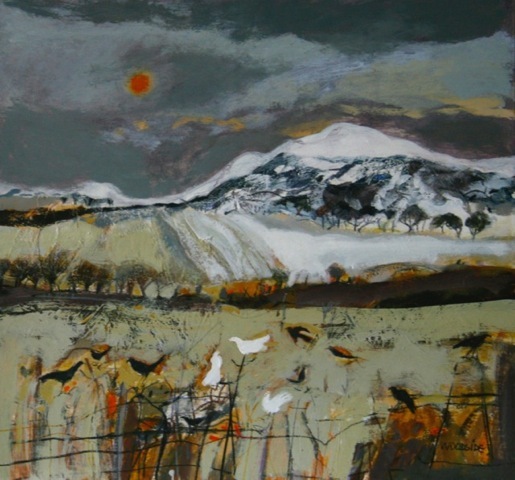 Gathering Birds, Kinross, 18 x 19.